This training day is open to all First Holy Communion and Confirmation Catechists, as well as those who look after the children’s liturgy in the Diocese of Brentwood. It will be an opportunity to hear about fresh resources, as well as receiving input to assist you in your First Holy Communion and Confirmation programmes. We would particularly like to welcome any young catechists or young people in your parish (16+) who may be interested in working as or with catechists, and wish to develop their faith further post-confirmation. The day will open with a meditative prayer, a time for you to stop, think and reflect. During the morning we will then introduce you to some key people within the Vicariate and those workshop givers who will be offering input and support on the day. The main focus of the morning will be about the possibility of hiring a Youth Coordinator within your area of the diocese, how this could work for you or how it has worked for other parishes and the chance to support this initiative going forward. After lunch we invite you to attend a selection of workshops from many well established organisations, which we hope will give you plenty of ideas and resources to take back to your own parishes. Alongside this we will be running a session for young Catechists. A full list of these workshops will be shared prior to the event, to help you in advance of registration on the day. The day will finish with a closing prayer and will end by 3:30pm. Places can be reserved from Summer 2019 and we will release more information nearer the time to let you know how you can do this. 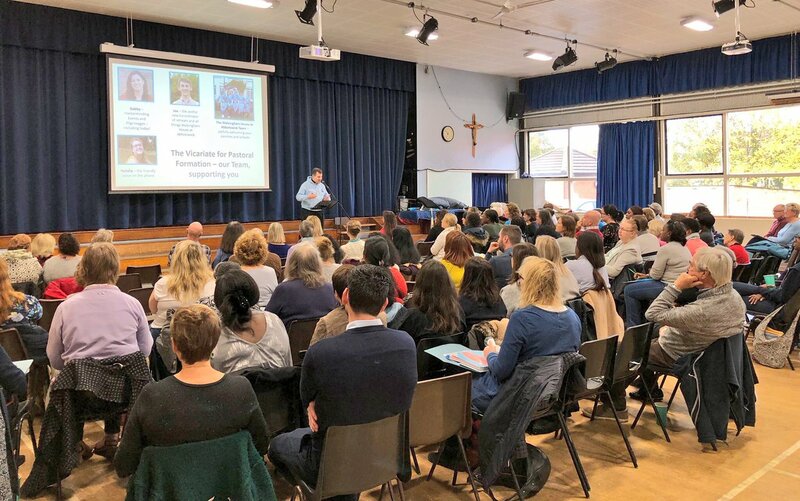 There are a maximum of 200 places from across the Diocese; we can take several catechists from each parish, but we do advise early reservation of places. The day is FREE; it is one of the events funded by the National Youth Sunday collection, which will be taken in your parish in November.